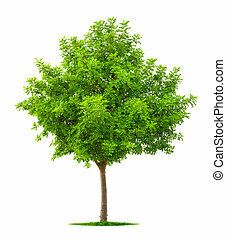 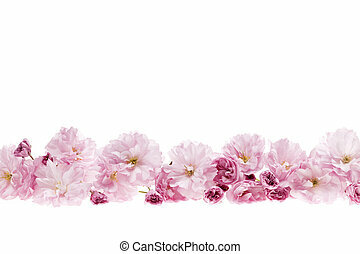 Cherry blossom isolated on white. 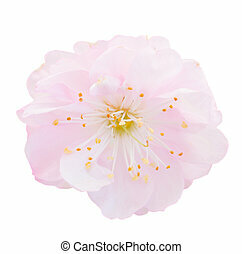 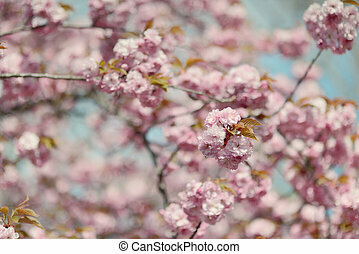 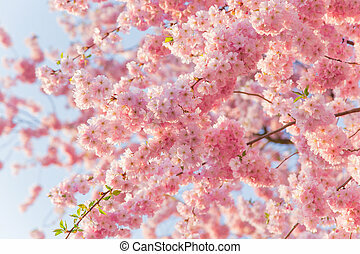 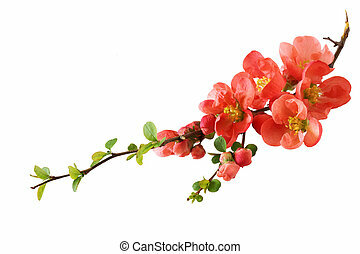 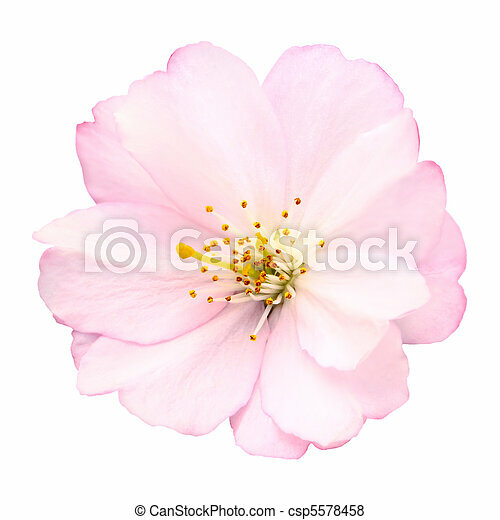 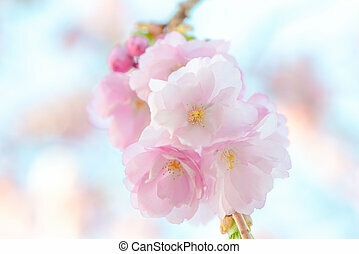 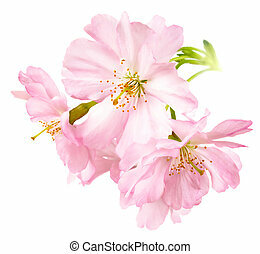 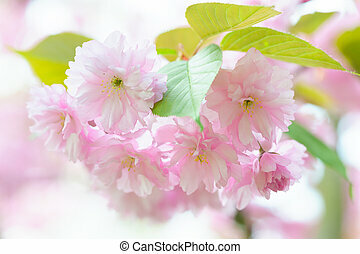 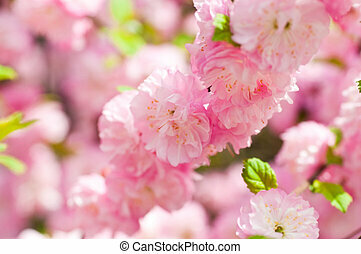 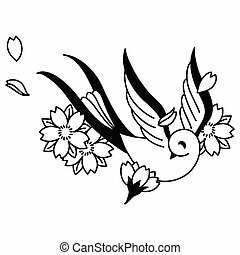 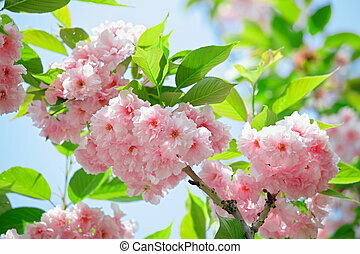 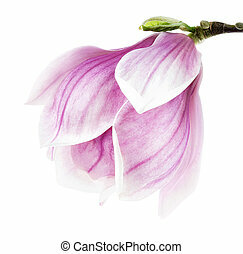 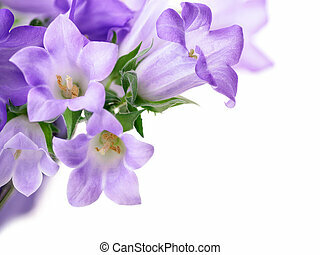 Close-up of a delicate bright pink cherry blossom on white background. 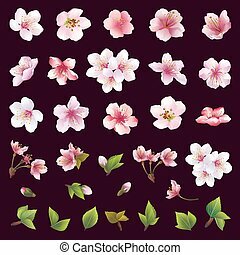 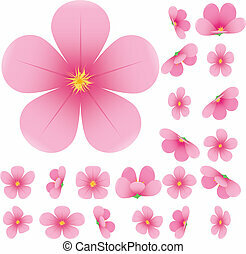 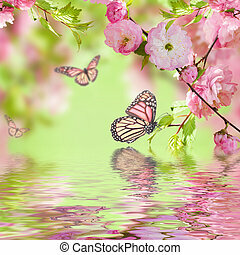 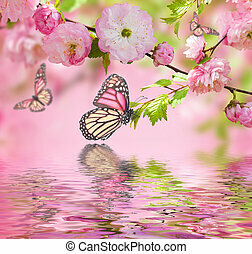 Spring border background with pink blossom, close-up.